A press statement on Poland by the Hungarian delegation of the European People's Party (EPP) caused an uproar within the centre-right group on Wednesday (15 November) in the wake of the vote in the European Parliament yesterday to launch the first phase of an 'Article 7' procedure against Poland. Hungary's ruling Fidesz, that recently re-elected prime minister Viktor Orban as its chairman, put out a statement that said it was "unacceptable that Brussels puts pressure on member states". "The Polish government clearly represents an anti-immigrantion position, and Brussels punishes it for that," the statement said. The resolution adopted Wednesday detailed concerns over Poland's rule of law, but did not, in fact, mention migration. 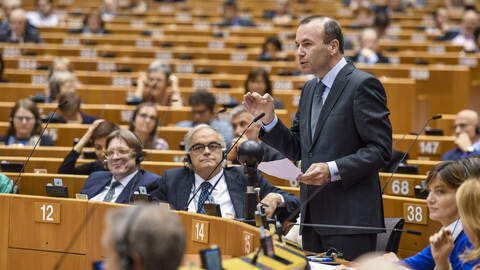 The EPP has supported the resolution, which launches a sanctions process against the Polish government, run by the nationalistic, eurosceptic Law and Justice Party (PiS) - which belongs to the European Conservatives and Reformists (ECR) group in the Parliament. Pedro Lopez de Pablo, head of communications for the EPP group, confirmed that there was debate in the group about Fidesz's press release. "It was a debate, because a lot of people did not like the press release at all," he told EUobserver, but did not want to go into details, adding there were some "harsh words" said. "Everyone was aware that they would vote against the resolution - but it's another thing making public steps with a press release," Lopez de Pablo added. He said that Fidesz MEPs were not trying to defend the move at the meeting. He also said the EPP group does not plan any sanctions, saying the group "cannot start censoring press releases" as it would be an attack on free speech. 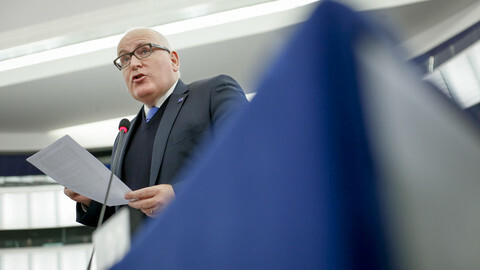 Polish MEP Janusz Lewandowski – who spoke at the plenary debate on Poland in the name of the EPP group, and who hails from the largest opposition party there, the Civic Platform – was furious, according to a source familiar with the debate but who asked for anonymity because of the sensitivity of the issue. 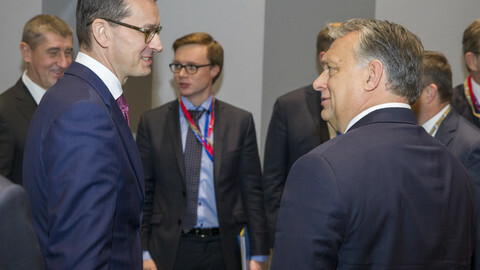 Lewandowski said at the meeting that the group expected the Hungarian delegation to vote against the resolution, because what is happening in Poland with the judiciary and civil society is similar to what is happening in Hungary. 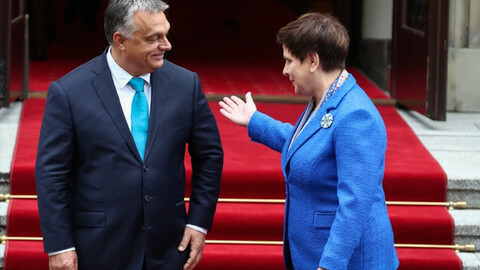 Hungary has faced several probes after Orban overhauled his country's judiciary and over various media laws, and has had several run-ins with the European Parliament and the European Commission over concerns for the rule of law and democracy in Hungary. "But instead of staying silent, you issue a press release crossing all red lines of loyalty," Lewandowski said, according to the source. 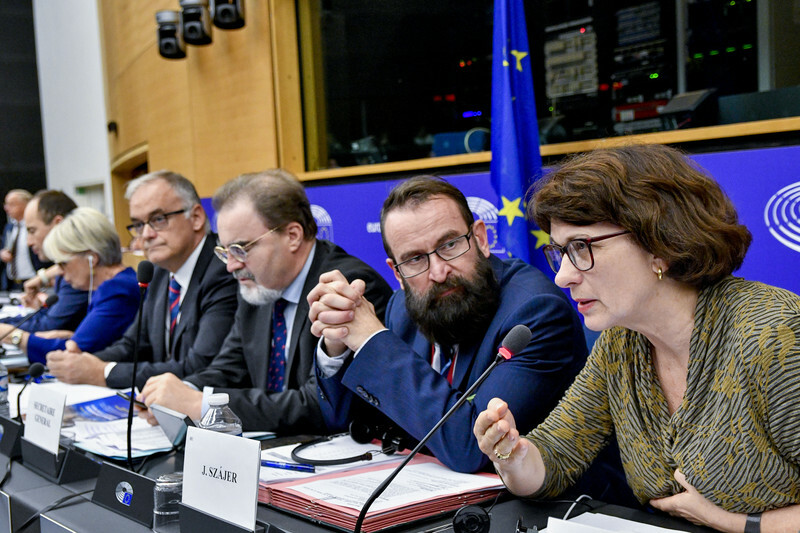 Luxembourg MEP Frank Engel called the press release "an insult to the Polish and an insult to the members of the group", according to the source. Engel, who was an EPP rapporteur on a 2013 Parliament resolution that investigated Hungary, has been critical of Orban repeatedly in the past. Lewandowski did not respond to requests for comment. 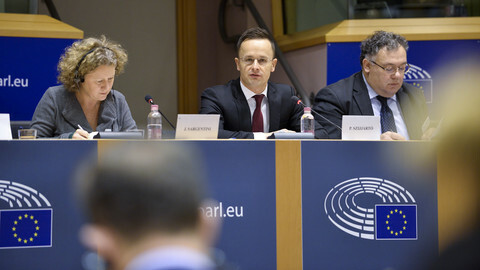 A spokeswoman for the Fidesz delegation declined to comment on the issue and said Fidesz MEPs would not comment on "possible events that might have taken place behind closed doors". 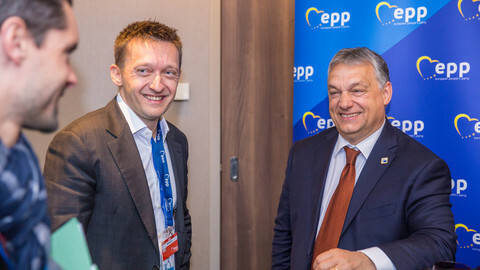 EPP group leader Manfred Weber this weekend congratulated Orban for being re-elected as Fidesz chairman, saying: "Let's keep on our cooperation for a strong Hungary in a strong Europe". EPP has been under pressure to discipline or even expel Fidesz, which has challenged EU rules and values in the past. Hungary's government has also said it would veto any attempt to suspend Poland's voting rights in the council as part of the Article 7 sanctions process. The European centre-right party warned the Hungarian PM to comply with EU law. 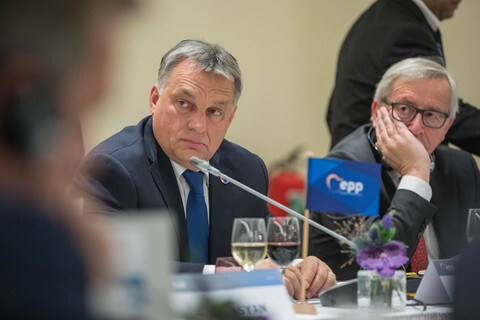 "They told me to behave", Orban said. 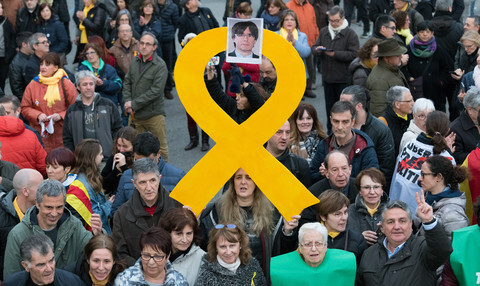 Curtailing NGOs and threatening judicial independence are the hallmarks of developing-world dictators and authoritarian strongmen, not a free and pluralistic European Union.